The university's new Emory Local Roots program launched in 2014 is a student-run initiative that elevates the university community's awareness of the benefits of consuming locally produced foods and making such products easily available to students. Beginning fall semester, students will be able to purchase a range of local produce on campus. The upcoming spring 2015’s Farm to Fork Dinner has an expected attendance of over 80 students and discussion leaders now in its seventh year. The university’s Real Food Revolution, an organization which seeks to increase awareness in regards to local foods, is hosting the dinner on April 25. As a certified permaculture designer, James Fry has a passion for deliberate ecological design, which integrates human needs with natural systems and cycles. He uses permaculture planning for long-term productivity and functionality with relatively little human intervention, helping reduce dependence on purchased products and making basic human needs more readily available. Ditch the Dumpster targets diversion and donations to local non-profits. 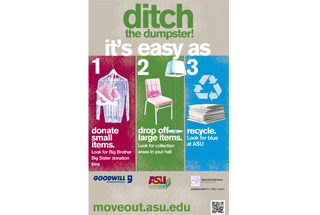 Students can clean out their residence halls and deliver most items to Big Brothers Big Sisters collection boxes. Larger, unwanted items are brought to locations across all four university campuses. The first-ever Dorm Sustainability Competition included bulletin boards and posters, posts and pictures that led to creative competitions like shower races. Over 50 abandoned bikes were recently gathered up by students, with plans to fix them and make them available to students for a very low cost. Leading the repair initiative is work/study student Flo Bannout. 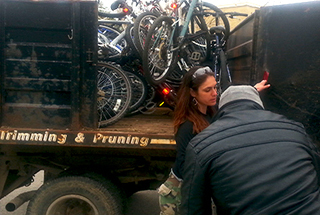 If no one reported a missing bike, then Ms. Bannout began fixing it for eventual redistribution to students who need bikes. In an effort to further campus sustainability, the goal of the summit is to to embed sustainable thinking, practices and decision-making throughout the university via an integrated sustainability strategy. 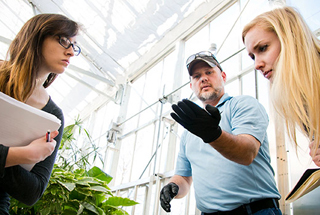 Students enrolled in the college's newly launched Environmental Science program will take a new approach to their studies by learning how to convert discarded eggshells into biodiesel fuel, among other eco-friendly skills, with a series of events for Earth Day. The university's water reclamation plant is the newest facility being used to enhance student learning and the student experience as interdisciplinary interest surges around the center, allowing faculty members to integrate its resources into undergraduate and graduate classes and research. 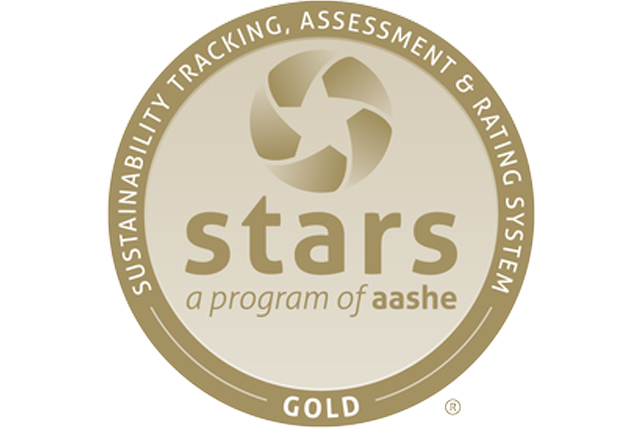 On confirmation of an AASHE STARS gold rating, Furman celebrated with a dessert event on March 24th. Part of Earth Week programming, student assessment fellows offered remarks and presented a gold, star-shaped cake to President Elizabeth Davis. The event was was part of a campus-wide campaign to thank data contributors and educate campus about STARS-related successes and opportunities. The university's new program is an effort to alleviate student hunger and food insecurity and maximize sustainably efforts on campus. 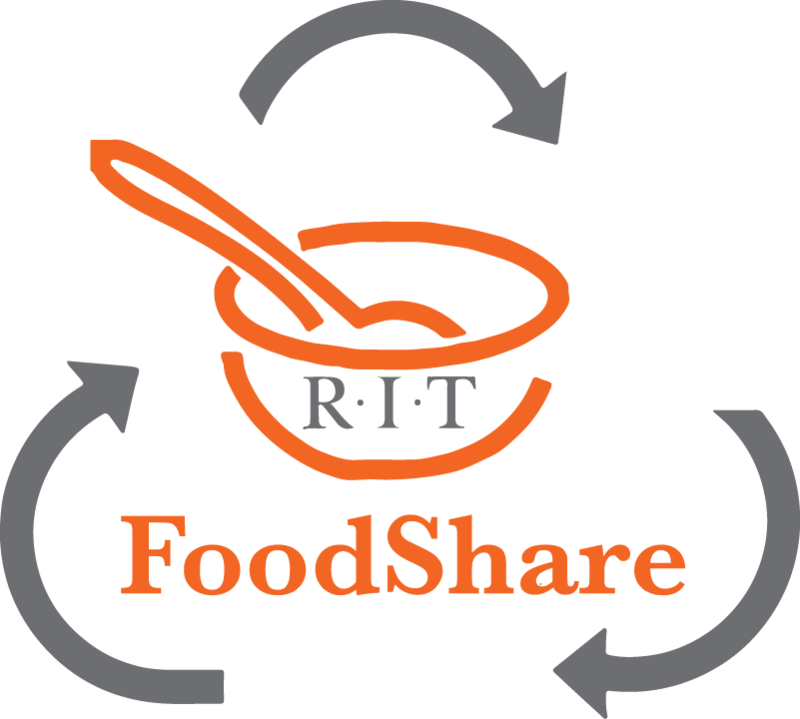 RIT FoodShare is about sharing what we have with those around us, building community, and enhancing sustainability. It aims to make the most of our pooled resources so that nothing goes to waste and students do not go hungry. 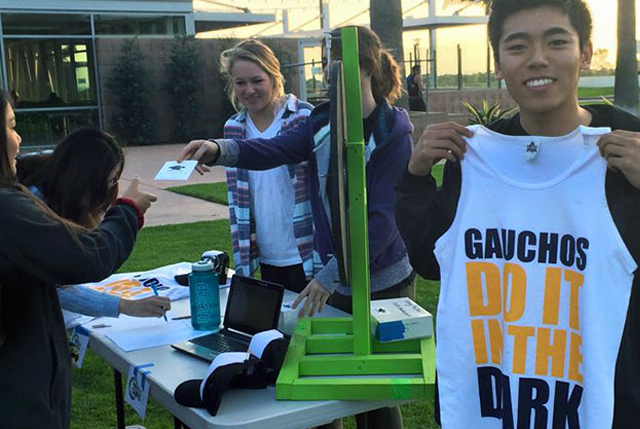 Spurred on by the slogan "Gauchos Do It in the Dark," the residents of eight dorms at the Santa Barbara campus cut their electricity use by nearly 8 percent during a Feb. 16-March 8 competition, inching ahead of other University of California undergraduate campuses. 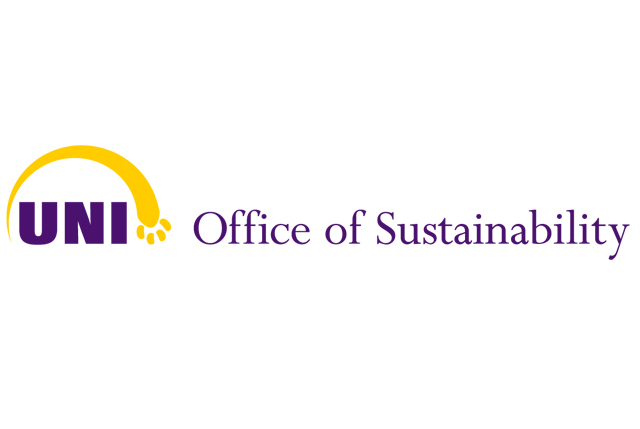 The University of Northern Iowa is hosting its second regional sustainability conference, "Environmental Equity and Resilience in the Cedar Valley and Beyond." This conference focuses on actions needed to envision a sustainable world and the transformation needed to create it. The conference includes a keynote speaker and a variety of breakout sessions focusing on food issues, policy concerns, natural energy, and resources and health topics. A new partnership with the university's Office of Sustainability now allows up to six students in any academic program to participate in a year-long, 10-hour per week internship in the areas of energy, waste, transportation, food, urban forests, and water systems. (U.S.): The university's Residence Hall Association recently passed a unanimous resolution that proposes a sustainability section be added to the A-Z Guide to Furnished Apartment and Residence Hall that will contain information pertaining to the university sustainability office, energy and water use, and recycling. (U.S.): As part of an effort to study local and global food systems, students from around the U.S. will visit Green Mountain College, Middlebury College, Sterling College, University of Vermont, Vermont Law School, and Vermont Technical College. The 21-day tour explores urban food systems, the local dairy industry and carbon economy, food system advocacy in the context of genetically-modified food, conservation, and climate change and its impacts on global food system. (Canada): Spearheaded by the university's Sustainable Agriculture and Food Systems Society, the student-run, 3-acre plot will provide a variety of organic vegetables for use in cafeterias across campus. (Canada): The university is hosting an online platform that 13 schools participating in the 2015 Earth Hour will use to gauge the school with the highest percentage per capita of participation. The aim of the inaugural Sustainability Connect was to convene campus stakeholders to discuss a transition toward the university as a living laboratory for exploring, testing and quantifying ways to make more efficient use of energy, water, buildings and equipment, and then to disseminate information about the most successful practices to have a global impact. The recently held inaugural summit, convening stakeholders from over 20 schools, helped create a statewide network among higher education institutions to collaborate on ideas about how to create environmental preservation, economic development, and social equity. One of the university's EcoReps programs, the Green House Certification, was awarded to a Greek house for their implementation of sustainable living practices and is based off of the university's similar certification for dorm rooms. Greek life also initiated Green Greeks, a weekly meeting where attendees learn and discuss one topic within sustainability for representatives to take back to their chapter. The new, six-acre farm, opening spring 2015, will be a working farm dedicated to teaching, researching and learning about small-scale agriculture. The new learning experience developed by students for freshman students focuses on energy, water conservation and waste minimization as principal ways to promote improved campus sustainability. At a recent Student Government Association meeting, representatives passed a resolution to create an ad hoc committee to advance student sustainability efforts on campus that includes eliminating paper meeting agendas, offer a paper bag option at campus shopping locations, introduce biodegradable food containers, and create a sustainability education program. (U.S.): Students for a Sustainable Stanford and the Stanford School of Earth, Energy & Environmental Sciences recently held a panel to raise public awareness of the interdisciplinary importance of global climate change. 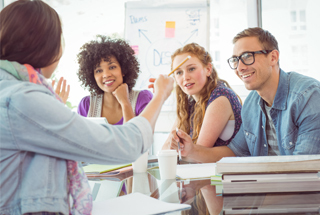 (U.S.): The recently released polling report illustrates important aspects of students and their engagement in sustainability through four main themes: sustainability issues of concern, preferred ways to learn about sustainability, student support for university sustainability initiatives, and students’ sustainability-focused behavior. The university polled a representative sample of the entire student body to gauge behaviors and perceptions as they relate to sustainability. (U.S.): The new site adds approximately three more acres of growing space to the campus' farm for growing food, offering students a place for hands-on farming experiences, and adds additional research acreage for those interested in studying organic production practices. Protecting the Chesapeake Bay is a main priority of university students in the Maryland Public Interest Research Group as they raise awareness of the Clean Water Act to other students by holding a photo petition. In an effort to raise awareness for sustainability, the inaugural college-wide art exhibit showcased work that was either created with sustainable materials or with content reflecting the theme of sustainability. Student members plan to launch the Carbon Cloud Initiative by walking around with eight balloons that visually represents the amount of carbon emissions an average Canadian generates per minute. Students will deliver a one-minute presentation to the students in their classes about the balloons. The university Eco Rep Green Dorm Initiative now includes education about environmentally sustainable living through a contest designed to increase interactivity. This year's focus on energy and water, well-being, and waste asks participates to engage with the theme through daily tasks. The new, non-profit student group, Food for Thought, allows current students experiencing food insecurity or lack of access to nutritional sources to register to receive a predetermined allotment of food based on need and availability. With a central theme of food justice the inaugural California Higher Education Food Summit convened roughly 150 students, faculty and staff from University of California, California State University and community college campuses to address environmental social and economic pressures that create barriers to food access, security and justice. Brown University, Duke University, University of British Columbia, University of Colorado Boulder and the University of Maryland recently won the 2015 Ashoka U-Cordes Innovation Award based on their ability to demonstrate how students, faculty and community members transform the ways in which colleges and universities prepare students as changemakers while positively impacting the community. The university's Residence Hall Association approved legislation that will place eco-representatives to live in each of the residence halls to encourage sustainability through both formal and informal communications with their peers. A Sustainability Living Lab project, a biological engineering student is investigating a system to process manure from the campus' Dairy Research and Teaching Farm into a product that can be kept on campus or one that is cheaper to have discarded. Currently the university spends $65,000 annually for the manure to be hauled away. (U.K.): The university recently constructed the sustainability trail on campus highlighting lighting and energy efficiency, water management, and landscape design that encourages biodiversity and water drainage management. This year's campus theme, Health and the Environment: Personal Courage and Community Activism, invites students and faculty to participate in its month-long agenda featuring a film series, bus trip for political action, and education and awareness of fair trade products. A research partnership between a mechanical engineering professor and two of his students, sustainability @BU and the university's Facilities Management & Planning department resulted in the conclusion that energy conservation measures could be applied to 74 campus buildings with the potential to reduce overall energy consumption 10 to 15 times more than converting the university's Earth House, a sustainability-focused, residential living learning community space, to net zero. The Conference of the Parties to the United Nations (UN) Framework Convention on Climate Change approved the university as an accredited, official observer to the UN climate talks, which allows university faculty, staff and students to participate in annual negotiating sessions. After the president recently asked about the ambition of the university's sustainability plan, students of a professor in the School of Forestry and Environmental Studies identified key areas for strengthening: improved networks and broader stakeholder engagement in regard to faculty research, student involvement and the City of New Haven; and increased knowledge creation and dissemination. In 2012, the college's sustainable technologies program launched an academic assignment with the aim of eliminating the inefficiencies of typical suburban homes. The assignment concluded recently with a small house, designed and constructed by students, that was auctioned off and included environmentally-friendly building principles. Kaitlyn Welzen, environmental studies and Spanish major and a sustainability intern for Sodexo, led an effort to construct and implement a campus hoop house to grow herbs and greens that are served in the dining room during Local Greens Tuesdays. (U.S.): The university system recently announced 54 students have been awarded with the Global Food Initiative fellowships. The $2,500 fellowships to undergraduate and graduate students, selected by the system's 10 campuses, will fund student-generated research, related projects or internships that focus on food issues. (U.S.): After being challenged to find and solve a sustainability challenge in the local community, a team of students from the university communication class spoke with apartment tenants about finding solutions to overcome barriers to recycling and were successful in persuading the complexes to make collection sites available. Organized by students, the University of Texas at Austin, University of Toledo, Bowling Green University, University of Kansas and Pennsylvania State University will be competing together for the first time to measure the highest reduction of energy and water use on campus. Called the Biodiesel Initiative, campus waste oil is sent to an on-campus recycling center where students process it into biodiesel fuel that is used in university diesel trucks and landscaping equipment. The university's College of Human Ecology kicked off its first Energy Smackdown Competition in which buildings compete against each other in an effort to reduce their electrical consumption for a 45-day time period. While the university doesn't currently accept glass recycling, a management class has begun collecting the material and sharing information with students about the benefits of recycling it. A fourth-year international business student is spearheading an effort to educate the Greek community about sustainability and hopes integrate more environmentally friendly practices into every day life through the creation of an official Panhellenic Sustainability Committee.